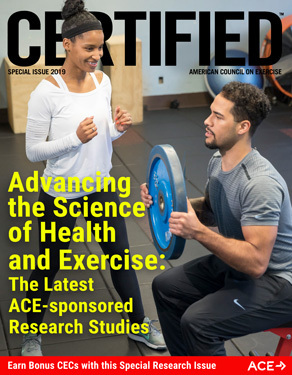 ACE - Certified™: Special Research Issue - What Is the Best Exercise for the Hamstrings? There is an old running joke among personal trainers and other health and fitness professionals that many gym-goers only care about the “mirror muscles”—those muscles they can flex when they catch a glimpse of themselves in the mirror at the gym. The truth behind the joke is that many exercisers do indeed focus on the biceps and chest, all but ignoring the muscles of the upper back. Unfortunately, this approach can lead to imbalance and injury. A more recent meme centers on the skipping of leg day. Endless photos can be found on the Internet of people with hyper-developed upper bodies held up by clearly neglected chicken legs. Again, the underlying truth here is that many novice weightlifters focus a majority of their work on the aesthetics of building a stronger upper body. As the muscle group on the posterior of the upper legs, the hamstrings are short-changed in both of these scenarios. What muscle group brings an exerciser less glory and fewer compliments than those on the back of the upper legs? Even the calves get more love. Unfortunately, neglecting this muscle group can have serious consequences. Strengthening the hamstrings can make performing activities of daily living easier, especially among older adults, and can also decrease pain in those who have tightness in the lower back (Balachandran et al., 2016). 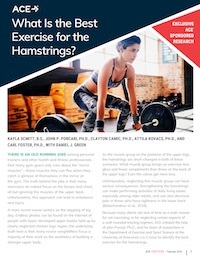 Because many clients cite lack of time as a main reason for not exercising, or for neglecting certain aspects of a well-rounded training regimen, ACE enlisted the help of John Porcari, Ph.D., and his team of researchers in the Department of Exercise and Sport Science at the University of Wisconsin–La Crosse to identify the best exercise for the hamstrings. 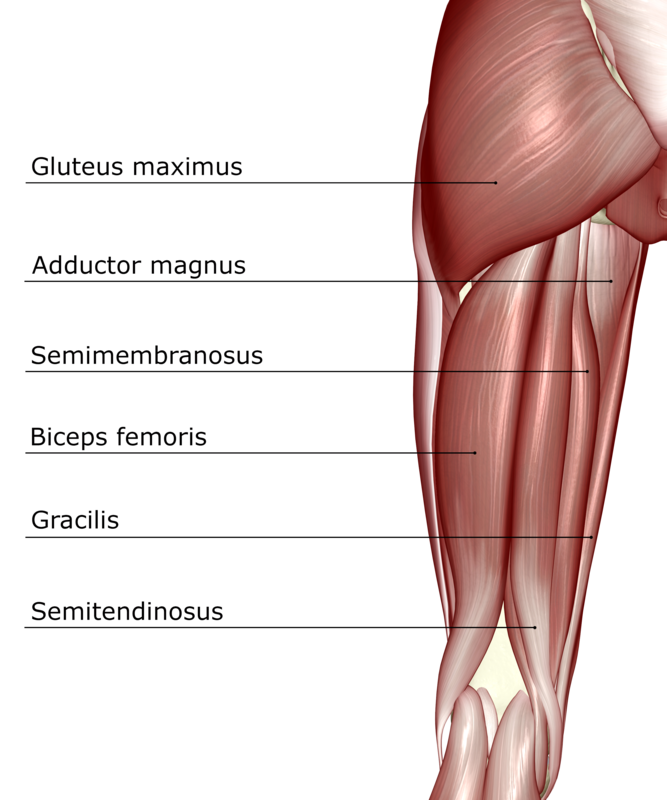 The hamstrings muscle group, which is located on the back of the thigh, consists of three muscles: the biceps femoris, semitendinosis and semimembranosus. Together, these muscles are responsible for extending the hip. The hamstrings are often 50 to 80% weaker relative to the quadriceps muscles, which are on the front of the thigh (Rosene, Fogerty and Mahaffey 2001). Sixteen volunteers (eight male, eight female) between the ages of 20 and 25 years old participated in this study (Table 1). Each subject was required to have previous resistance-training experience. This experience allowed them to perform the exercises with proper form and reduced the risk of injury. 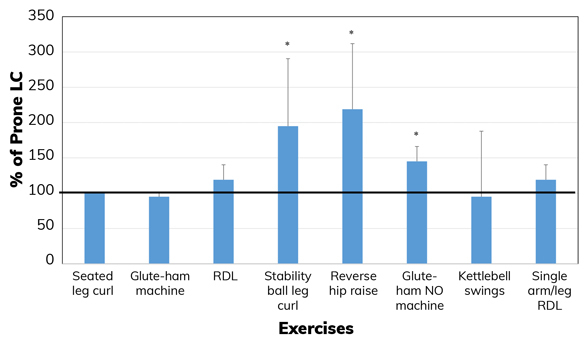 The purpose of this study was to determine which of the following nine commonly performed hamstrings exercises would be most effective at activating the biceps femoris (BF) and semitendinosis (ST). The semimembranosus was not evaluated because its deep location makes it impossible to monitor with the surface electrodes that were used to conduct the electromyography (EMG) testing utilized in this research. In addition, it is extremely difficult to isolate the semimembranosus. Each subject attended two one-hour sessions with a minimum of three days of rest in between. During the first session, each subject’s one-repetition maximum (1-RM) was determined for four different exercises: (1) prone leg curl using a machine, (2) seated leg curl using a machine, (3) Romanian deadlift and (4) single-arm/single-leg Romanian deadlift. From these 1-RM values, a weight that corresponded to 70% of the 1-RM was calculated for use during the second session. This load was used because it is a commonly used resistance level among recreational exercisers. During the second session, each subject performed a maximum voluntary contraction (MVC) by lying on a mat on the floor with the right knee flexed at a 90-degree angle. The subject then pulled the foot toward the glutes as a research assistant pulled the subject’s foot in the opposite direction. For the BF, the subject’s foot was twisted medially. Also during this session, the subjects performed each of the nine exercises described below, in random order. Wireless surface electrodes were affixed to the skin directly over the BF (halfway between the ischial tuberosity and the lateral epicondyle of the fibula) and the ST (halfway between the ischial tuberosity and the lateral epicondyle of the tibia) (Criswell and Cram, 2011). 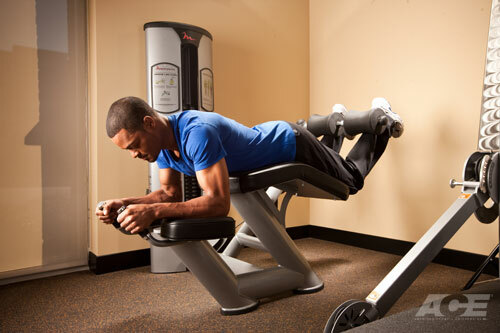 Prone leg curl using a machine: The subject laid on his or her stomach on the machine, with the back of the lower legs under the resistance pads, and the resistance pad just above the heel. After grasping the available handles for stabilization, he or she pulled the heels toward the gluteus maximus until the knee was bent to 90 degrees. The subject then slowly lowered the heels back to the starting position. Seated leg curl using a machine: The subject was seated on the machine with the back of the lower leg on top of the padded lever and with the lap pad secured against the thighs, just above the knees. He or she then grasped the handles on the machine for stability. The subject started with the legs straight out in front, then pulled the weight back toward the posterior thigh while keeping the torso stationary. Once the weight was pulled back as far as possible, he or she slowly released the tension and returned to the starting position. Romanian deadlift: The subject started with a pronated grip on a barbell with the hands about shoulder-width apart. With a slight bend in the knees, the feet hip-width apart, and the back straight with a neutral spine, the subject lifted the barbell to the front, upper part of the thighs. Once the legs were fully extended, the subject lowered the barbell by hinging at the hips and bending the knees. When the barbell was lowered to approximately mid-calf, or when the subject could feel tension in the hamstrings, he or she pressed the heels into the floor, pushed the hips forward, and pulled back on the knees, while keeping a neutral spine, until he or she returned to the starting position. Single-arm/single-leg Romanian deadlift: The subject balanced on the right leg while holding a dumbbell in the left hand; the right knee was slightly bent and the back was straight. The subject then leaned forward on the right hip, while keeping the left arm straight, so that the dumbbell was lowered directly in front of the left leg. Once the dumbbell was lowered almost to the floor, the subject pushed the right foot into the floor and lowered the left leg until he or she was in an upright position. Glute-ham raise using a machine: The subject positioned him- or herself on the machine with the feet placed against the footplate and the ankles between the rollers. The knees were just behind the pad of the machine and the arms were crossed in front of the body. The subject started with the torso perpendicular to the floor and the knees bent. He or she then descended until the torso was parallel to the floor, then contracted the hamstrings and core muscles to rise into the upright position. Glute-ham raise without equipment: The subject started by kneeling on a mat with the knees bent and arms crossed. A research assistant held the back of the subject’s ankles as the subject lowered the torso until it was parallel to the floor. He or she then contracted the hamstrings and core muscles to rise back to the upright position. Kettlebell swings: The subject held the kettlebell with both hands so it was hanging between the legs. The knees were slightly bent and the arms were straight as the subject pushed the hips forward and swung the kettlebell out in front until it reached shoulder height. He or she then pushed the hips back and returned to the starting position with the kettlebell between the legs. 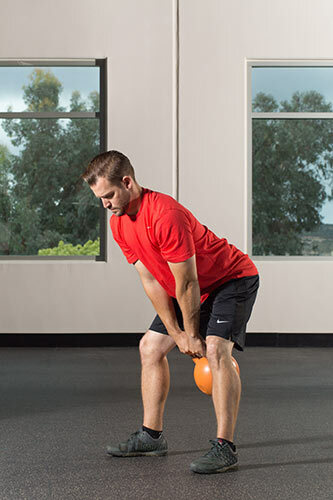 Stability ball hamstring curl: The subject started by lying on his or her back on a mat. He or she then placed the heels on the top of the stability ball and raised the hips so there was a straight line from the hips to the shoulders; the arms were extended out to the sides for stability. The subject then slowly bent the knees and pulled the ball toward the hips until the soles of the feet were on top of the ball; the hips were maintained in a straight line with the shoulders. Once the subject’s soles were on top of the ball, the subject slowly rolled the ball out until the knees were straight again. Reverse hip raise: The subject lay face down on the edge of a lifting bench so the hips and legs were not touching the bench. The subject gripped the bars underneath the bench for stability. He or she then lifted the legs in the air, with the knees together, until the legs were in a straight line with the torso. Then, the subject slowly lowered the legs and returned to the starting position. To analyze the results, the researchers compared all exercises to the prone leg curl using a machine, which is a common hamstrings exercise that elicits relatively equal activation of both the BF and ST.
BF activation for each exercise is presented in Figure 1. 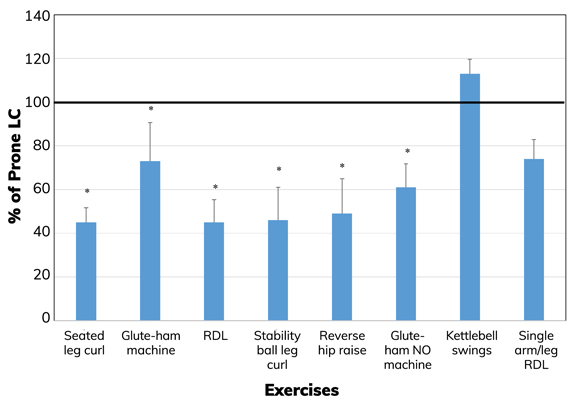 Six of the eight exercises tested yielded significantly lower muscle activation than the prone leg curl (which is represented by the horizontal black line in the figure): seated leg curl using a machine, glute-ham raise using a machine, Romanian deadlift, stability ball hamstring curl, reverse hip raise and glute-ham raise without equipment. Only one exercise—kettlebell swings—showed greater BF activation than the prone leg curl, but the difference was not statistically significant. Figure 1. Comparison of biceps femoris activation for the various exercises compared to the prone leg curl. The heavy black line represents the prone leg curl. * Significantly less than the prone leg curl (p<0.05). Semitendinosus activation for each exercise is presented in Figure 2, again in comparison to the prone leg curl. In this case, three exercises demonstrated significantly higher activation levels than the prone leg curl: stability ball hamstring curls, reverse hip raises and glute-ham raises without equipment. None of the exercises had significantly lower muscle activation than the prone leg curl. Figure 2. Comparison of semitendinosus activation for the various exercises compared to the prone leg curl. The heavy black line represents the prone leg curl. * Significantly greater than the prone leg curl (p<0.05). Looking at the data collectively reveals that there were only two exercises—kettlebell swings and single-arm/single-leg Romanian deadlifts—that had similar levels of muscle activation for both the BF and ST compared to the prone leg curl. We all know that time is of the essence in the gym, and these results reveal that these three exercises stimulate the hamstrings equally well and can be used interchangeably. Kettlebell swings are a great option for home-based workouts for those who choose not to exercise in a gym or who don’t have access. “For the average gym-goer,” says Dr. Porcari, “prone leg curls are a good choice, which makes sense intuitively.” What he means is that the old reliable prone leg curl machine effectively isolates the targeted muscles, which is why it’s a staple in most fitness facilities. “Many of the other exercises can be very tough to do,” he says, “and working with less-than-ideal form means that the exerciser is not going to yield maximal benefit.” The simplicity of the prone leg curl machine is one key to its effectiveness. Many of the exercises examined in this study introduce additional challenges, such as balance training. That said, there is no need to overcomplicate the movement if the goal is to specifically target the hamstrings. Some health and fitness professionals get caught up in the need to innovate and introduce clients to new movements. That is a noble goal, but as this research shows, certain exercises are mainstays for good reason. Balachandran, A. et al. (2016). Functional strength training: Seated machine vs. standing cable training to improve physical function in the elderly. Experimental Gerontology, 82, 131–138. Criswell, E. and Cram, J. R. (2011). Cram's Introduction to Surface Electromyography (2nd ed.). Sudbury, Mass. : Jones and Bartlett. Rosene, J.M., Fogarty, T.D. and Mahaffey, B.L. (2001). Isokinetic hamstrings: Quadriceps ratios in intercollegiate athletes. 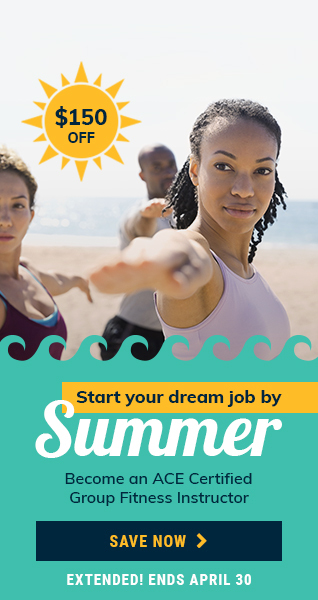 Journal of Athletic Training, 36, 4, 378–383. The hamstrings are often _____________ relative to the quadriceps muscles, which are on the front of the thigh. Which two exercises had similar levels of muscle activation for both the biceps femoris and semitendinosis compared to the prone leg curl?